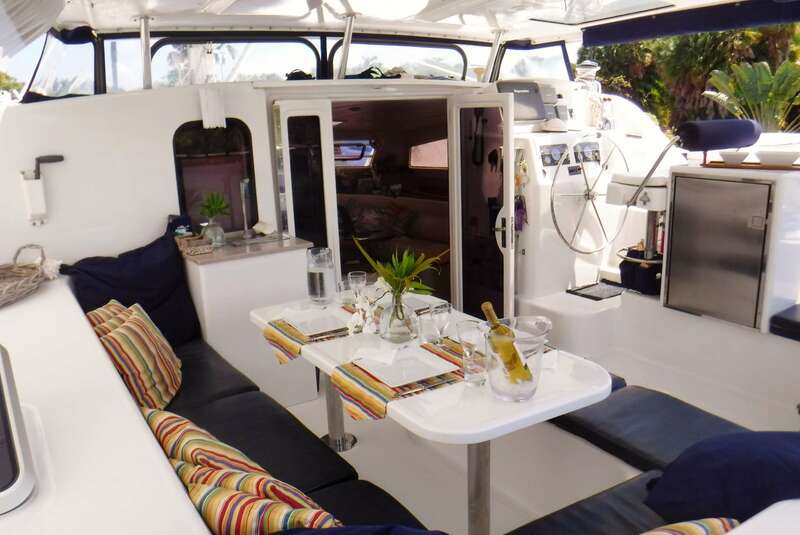 Dreaming On is a luxurious Leopard 47 catamaran offering a very spacious interior with 3 queen size guest cabins, all with en suite facilities. 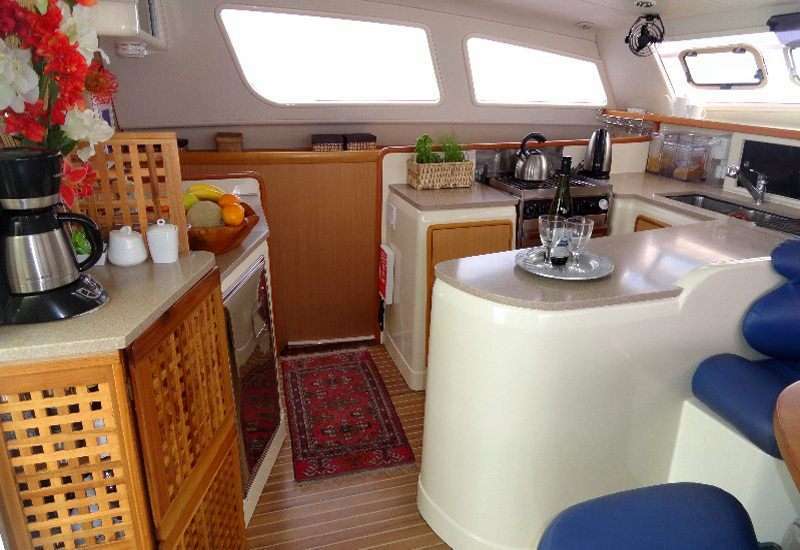 And outside, a large cockpit for socialising, relaxing and dining in comfort, plus loads of deck and trampoline space for sunning and relaxing in our double hammock. 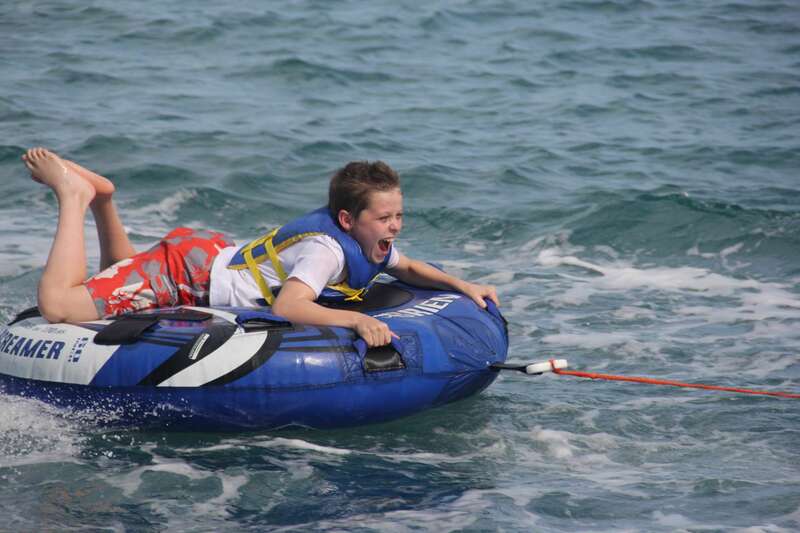 Dreaming On offers an array of water toys and water sports for your enjoyment. 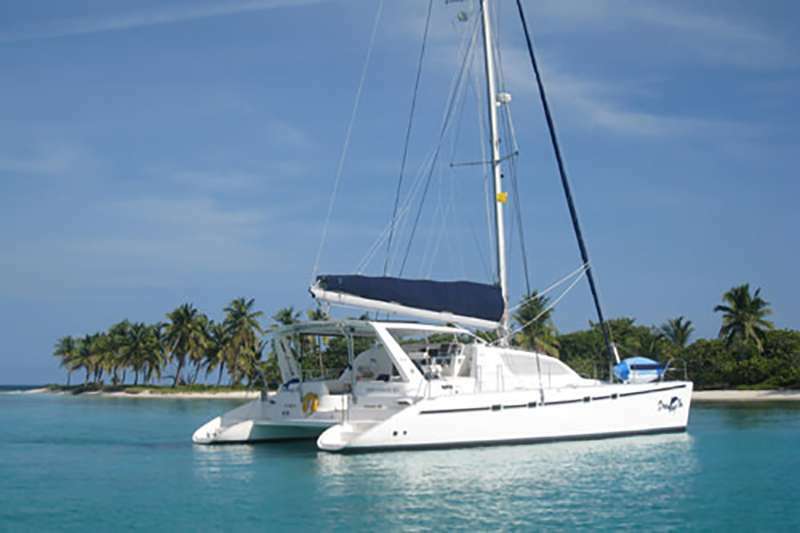 Her professional crew are ready to take you on a voyage of discovery in the beautiful unspoiled crystal clear waters around Belize. 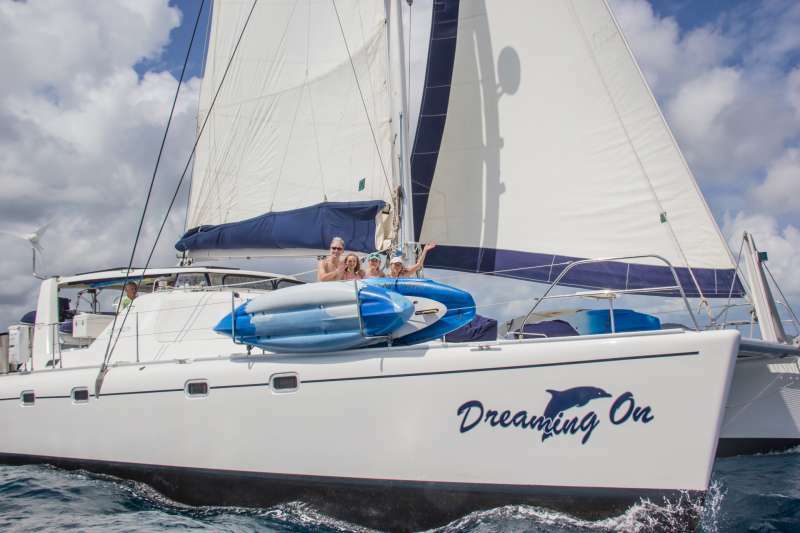 Join Dreaming On for a vacation of a lifetime. Children of all ages are welcome. 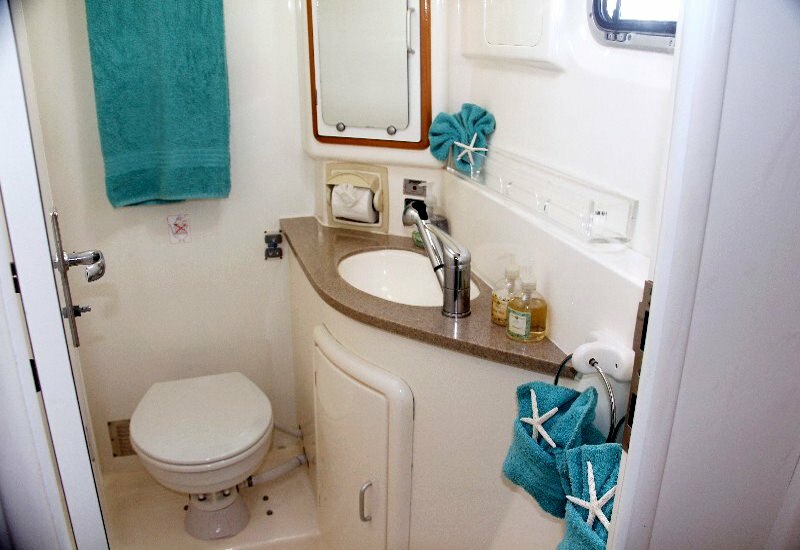 All three queen size guest cabins are fully air conditioned and have en suite facilities with electric toilets. 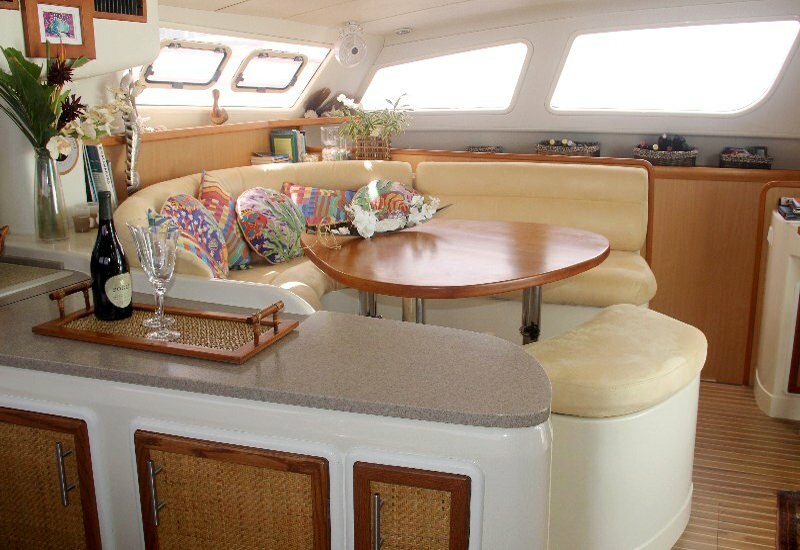 Spacious cockpit with hardtop bimini, dining table and cushioned seating area and outdoor ice making and drinking water station. Large, full width trampoline with beanbags, double hammock and sun awning for sunning or relaxing. 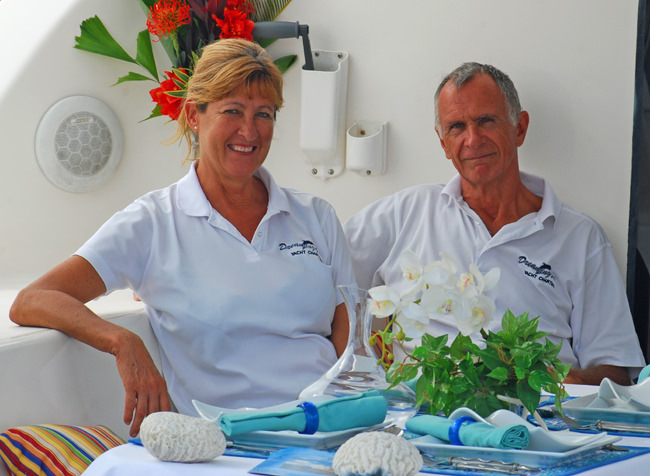 Geoff & Iza are an outgoing British couple, who love the outdoors, the sea, the cruising life and meeting new friends. 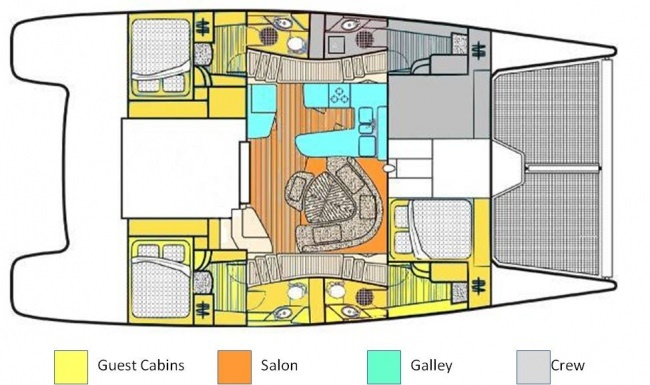 Separately or together they have lived and worked in the Lebanon, Yemen Arab Republic, Seychelles, Kenya, South Africa, Saudi Arabia and Dubai in the UAE. Geoff has enjoyed a varied career in aviation, mostly in East Africa and Saudi Arabia. 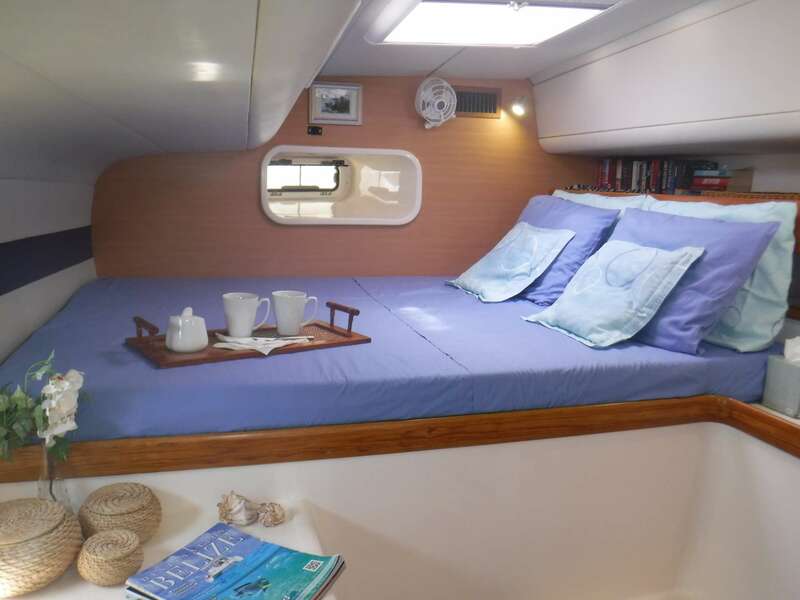 Assisted by Iza, he managed the creation of a new tourist seaplane service in Dubai during 2007. Iza has always been a world traveler. She has managed businesses in the Yemen, worked as chef on a charter yacht in the Seychelles, managed exhibitions in London, run her own carpentry business in Kenya, taught information technology in Saudi Arabia and been involved in the creation of the Dubai airline. 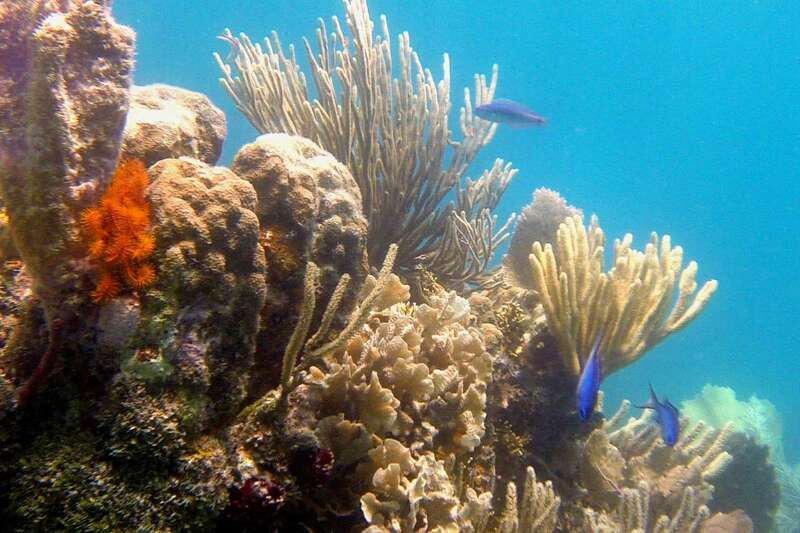 Iza loves exploring, whether underwater or seeking that magical secluded bay or deserted island. 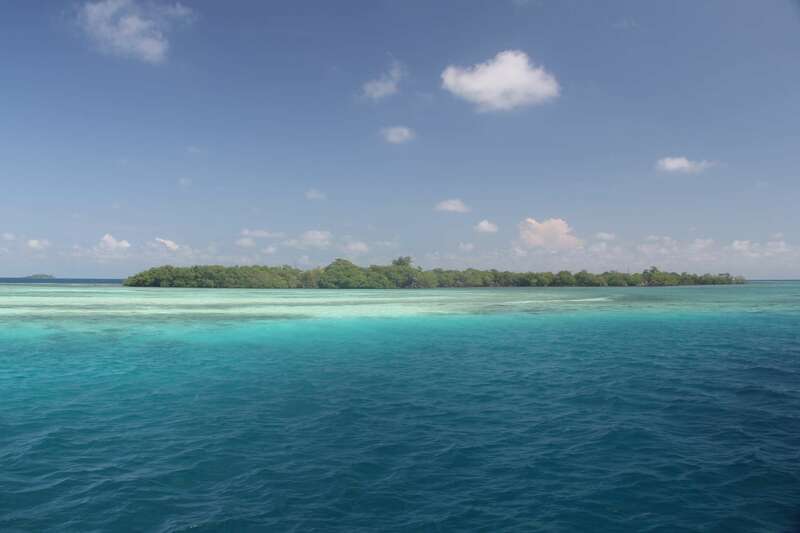 Geoff and Iza are both PADI Rescue Divers. 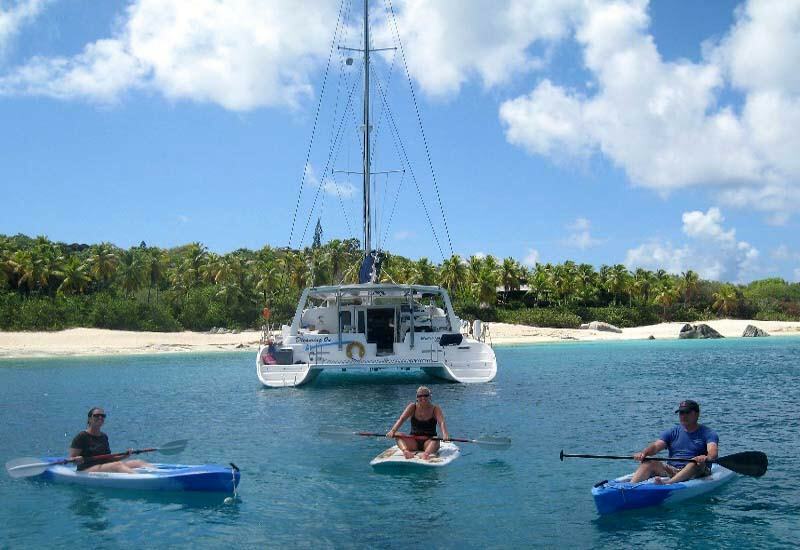 Luckily for Geoff, if Iza's not underwater, out kayaking or beachcombing, she's enjoying her long-standing passion for what he calls, her “culinary artistic creations.” Iza’s menus are influenced by the many cultures she has experienced and she will pamper you, matching the tastes and preferences of each individual guest. She will often bake three times a day from fresh muffins in the morning, fresh loaves for lunch and a variety of dinner rolls. She uses locally available produce wherever possible to create delicious and healthy gourmet cuisine which looks as astounding as it tastes. 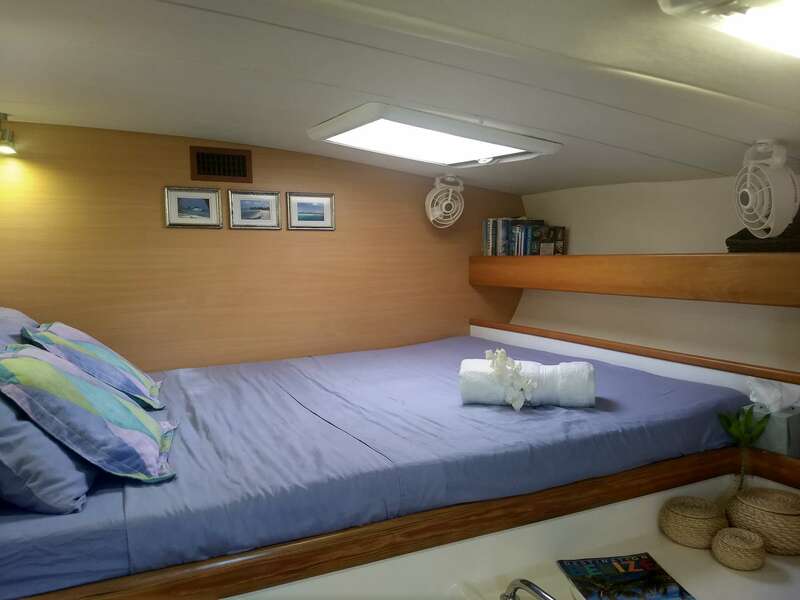 Geoff and Iza operated their catamaran Dreaming On for luxury crewed charters in the BVI for 5 years, then moved on to Belize for a change of scene. 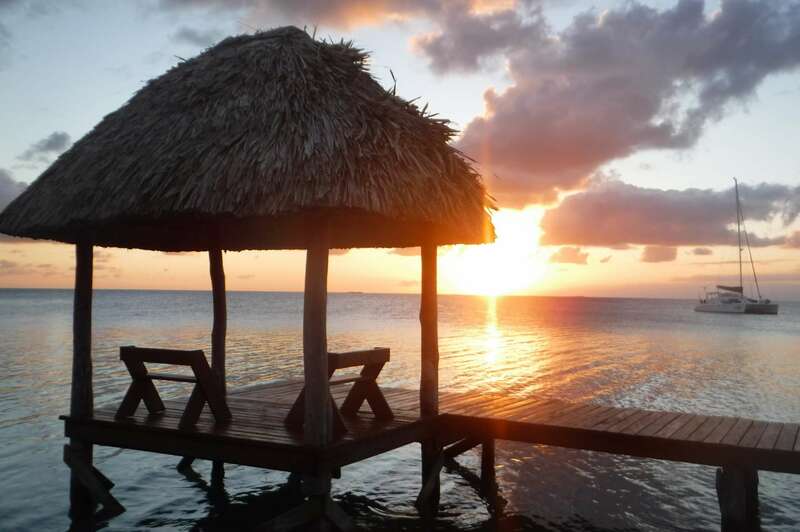 They fell in love with the islands of southern Belize, the phenomenal colours, the uncongested waters, and the chance to anchor at a different island every night and have the island to themselves. 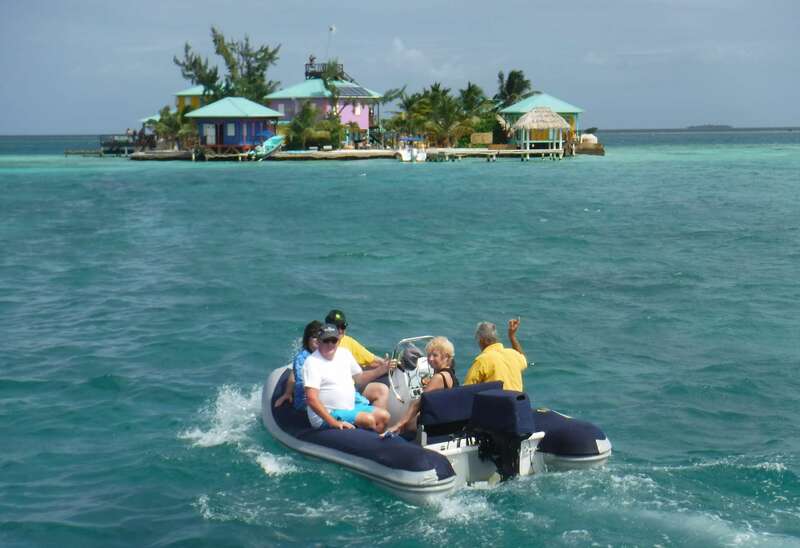 So much so that they purchased and have been developing their own special piece of that paradise, Funk Caye, close to the main barrier reef. 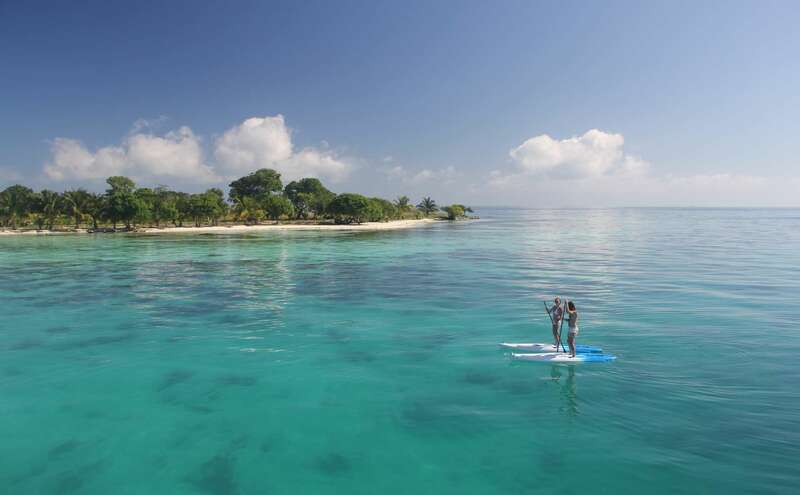 Funk Caye offers turquoise blue waters, fantastic snorkeling on the house reef all around the island, kayaking and paddle board opportunities. 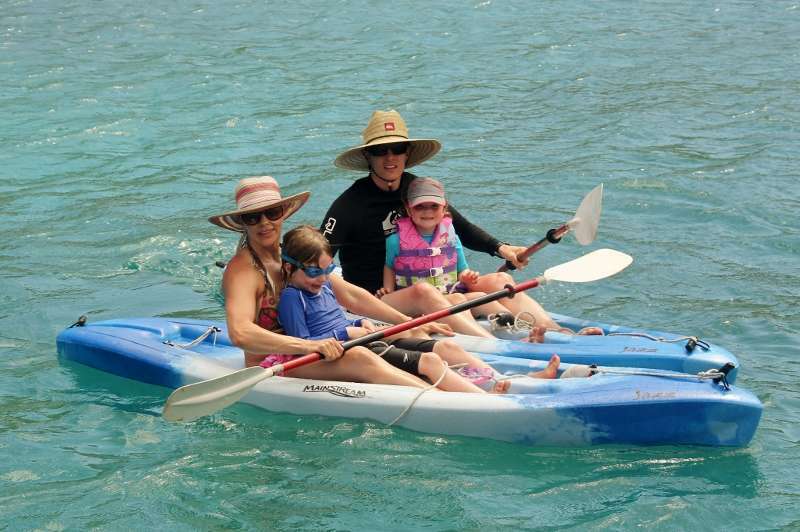 Nurse sharks regularly swim around under the island’s dock, and manatees have been sighted. Spotted Eagle Rays are permanent residents. 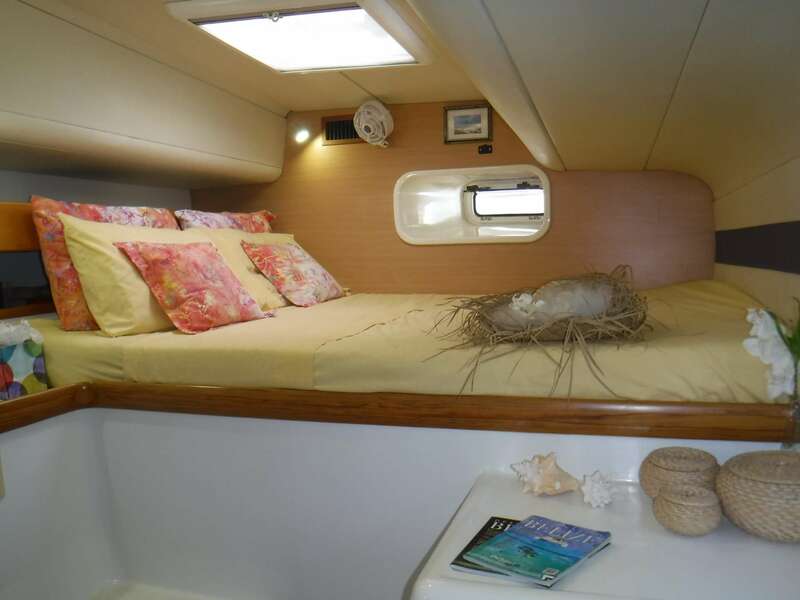 They now invite you to join them on board Dreaming On and share their knowledge and love of this quiet, unspoiled area. 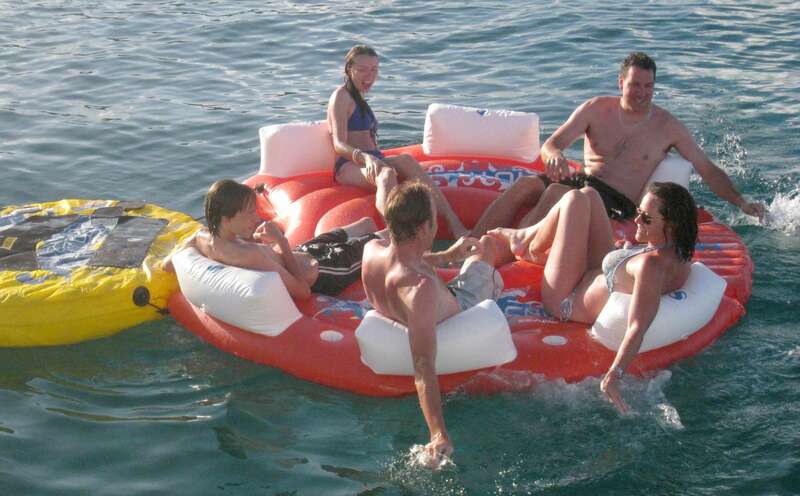 Two bean bags for the deck or bow Inflatable Island Lounge.